I sent that text to some close friends last Wednesday, the day after the elections here in Virginia. Why is Pluto feeling so good? The answer is simple. We are finally doing what he wants. 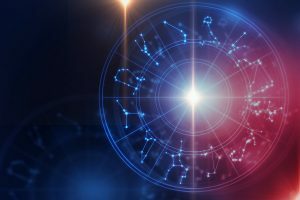 I have written at length (http://joanporte.com/tag/pluto-in-capricorn/) about the effects of Pluto, the change planet in the constellation of Capricorn, which controls government and authority structures. To make matters more interesting, America is coming into our Pluto return. Pluto is coming back or returning to where it was in 1776, at our birth. Pluto is in our second house of values. The question couldn’t be clearer – what do we want our values to be? Pluto just doesn’t want change, he demands that we look deep inside of ourselves and ask, who we are and what we need to throw off so our better selves come through. If we fail to heed the demands of Pluto, he forces us to hold a mirror in front of our faces. He makes us face our worse selves. Donald Trump is Pluto asking us to look inside ourselves and ask what kind of country we want. He has made his goals very clear to us. Last week, voters in Virginia, New Jersey, New York, Maine and Washington State responded with what they want. Virginia now has a transgender delegate along with two Latinas and one person of Vietnamese heritage. That is quite a change from the old white men they replaced! Hoboken, NJ elected a Sikh major and Maine voted to extend Medicare. If we continue this “voter revolt,” stay engaged and remember who we are as decent people we will have answered Pluto’s call. Pluto isn’t an easy task master. There are detriments to his lessons but we can come out better people. Will we stay the leaders of the free world? I am not sure. Will we have values for which we can be proud? I hope so.